The cost of operations is one of the things that can potentially intimidate entrepreneurs and investors out of getting into the industry. After all, even after you’ve purchased your plane, there’s fuel, crew salaries, airport fees, hangar rental … and that’s not even counting the office and administrative expenses. 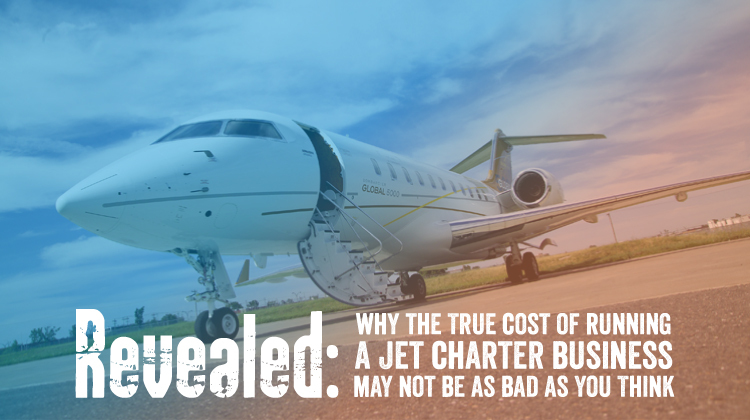 But the truth is, it is possible to get into the jet chartering business with a smaller sum of money than you might expect, and here’s why. You don’t need your own jet. Surely, when you get into an aviation business, the first order of business is to go and acquire a jet, right? Not quite. Thanks to the “sharing economy”, it’s now possible to start a business by being a middleman for those who have jets and those who need flights. You can apply the “Uber model” to planes and create a web-based or mobile service that allows people to book available pilots. And while creating mobile apps and large-scale websites aimed at an international audience doesn’t come cheap, it’s still nowhere near the amount you’ll need to start purchasing your own aircraft, paying to maintain it, and hiring a flight crew. You can outsource various tasks. Nowadays, it’s easier than ever to outsource the different positions you need to get your business running, and this can be far less costly than hiring people in-house and having a large enough office to accommodate them all. Positions such as those in IT, marketing, and even customer service can easily be outsourced. Just make sure that you are diligent in selecting the right people for the job, or find a reputable outsource staffing company to help you. You can join forces with other companies. Explore possibilities for partnerships with suppliers in your state or country. Especially if you’ve generated buzz for your company, a joint marketing agreement or a part-exchange deal could be attractive to many suppliers, and beneficial for both sides. This is a great way to add value to your brand, provided that you join forces with companies that have a reputation for quality. There are plenty of less expensive advertising options. Decades ago, if you wanted to make a name for a business, especially across different countries, you would have to shell out large amounts of money for traditional advertising: TV, print, or radio. Nowadays, the internet gives you a lot of less expensive options for creating an audience. Creating a website with informative content or a useful web app can attract tremendous numbers of people. Funny or engaging YouTube videos can sometimes become viral. Meanwhile, targeted Google and Facebook ads make sure that the money you do spend allows your material to reach the people most likely to be interested in your service, so it is a lot more cost-efficient. The days of being limited to large-scale and highly costly TV and print ads – or else risk your company being doomed to anonymity – are over.